The 3rd Annual Team Hurricane-Global Squad Invitational Skills Camp was a success and served to confirm that Bermuda hoop talent is on the rise. Held over the course of three days [April 21 – April 23] at Warwick Academy, Team Hurricane Basketball Academy’s Founder and President, Doug Reed, handed the reins to Coach John Alexander who, along with Coaches Kevin Quinlan and Ryan Borzager, challenged players to push past their physical and mental limits. 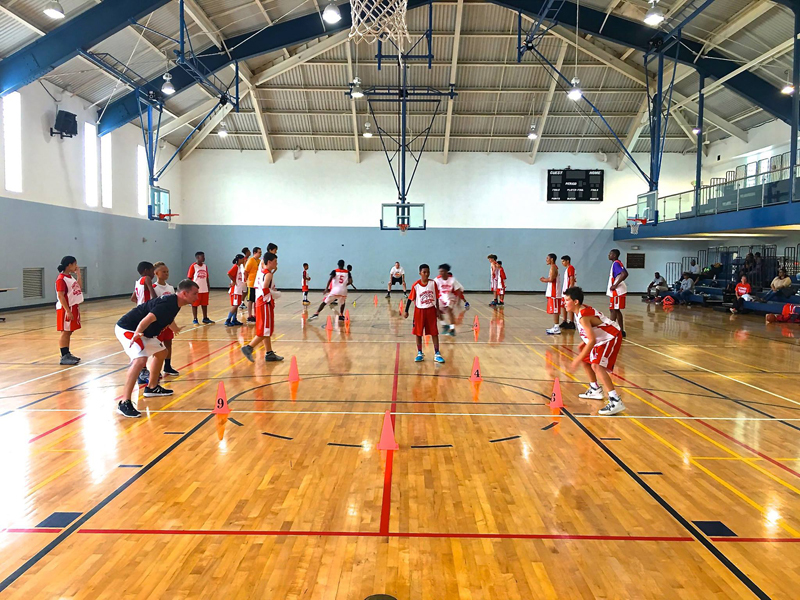 This year’s edition of the Team Hurricane-Global Squad Invitational Skills Camp highlighted the significant and continued improvement of Bermuda basketball. Coach Kevin Quinlan reflected upon the talent and heart of Bermuda’s young players, saying: “Our primary objective for the event was to put the Bermudian ballers through U.S.-style high intensity skills and strength training. 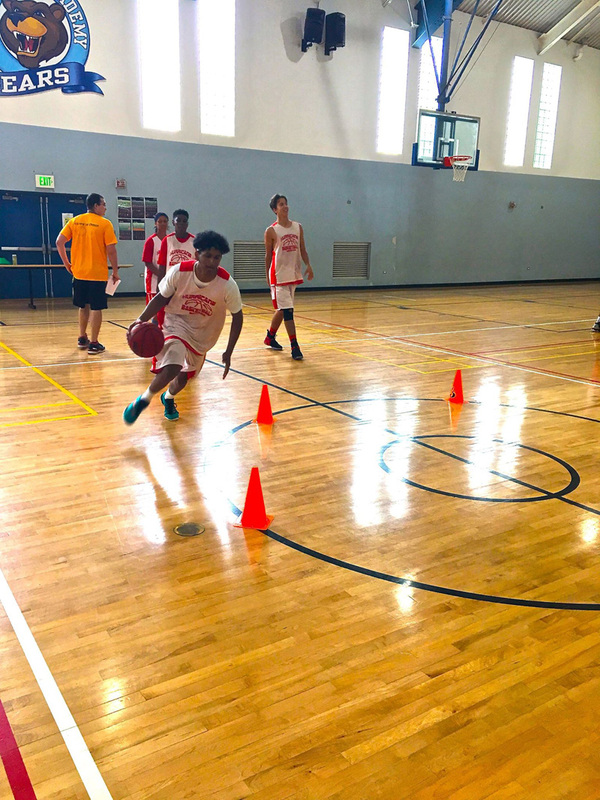 “We led the boys and girls through an array of drills designed to sharpen their ball handling, shooting, and passing; to improve their grasp of a number of important team concepts such as cutting to score; and to develop power and agility. “Three of the most eagerly received drills were the CP3 Series, the Circle Sprint Series, and Angle Shooting. Three of the most challenging and arguably most beneficial exercises were the Weak Hand Gauntlet, Stationary Ball Handling, and Jump Training. Coach Alexander continually stressed several points, which resonated with the athletes and motivated them to work hard to improve their skill sets. These aspects were taking ownership of your game, focusing on the process and not on the results, and keeping things simple. “We look forward to visiting Bermuda for the Team Hurricane-Global Squad Invitational Skills Camp again next April. Please free to reach out to us at abasketballacademy.com with any questions,” a spokesperson said. 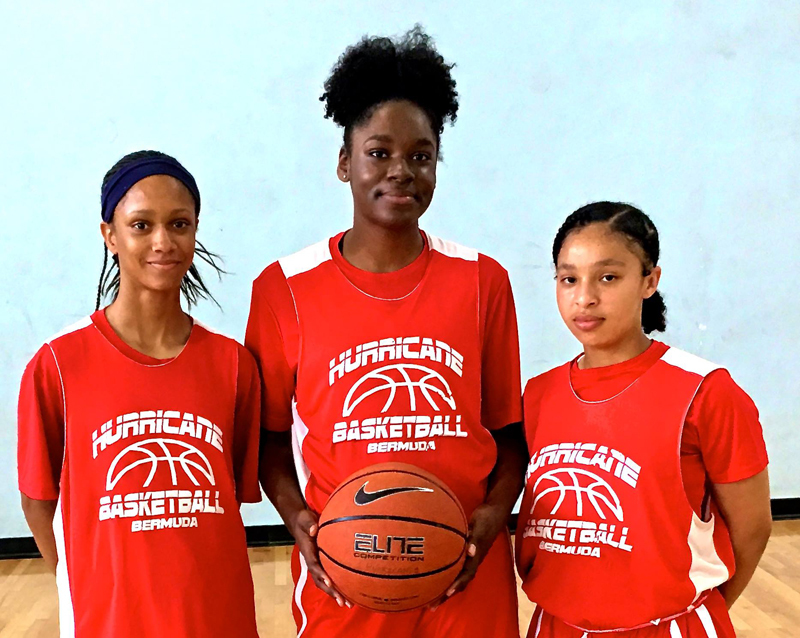 The camp is the product of Team Hurricane Basketball Academy’s relationship with John Alexander and his Alexander Basketball Academy, a well-regarded basketball institution experienced in bringing international players to U.S. college coaches. Head Coach, Doug Reed, is thrilled with the continued success of the Team Hurricane-Global Squad Skills Camp, saying: “Working with the Alexander Basketball Academy has been such an awesome experience because it enables our program to provide an intense training environment for young student-athletes here in Bermuda. 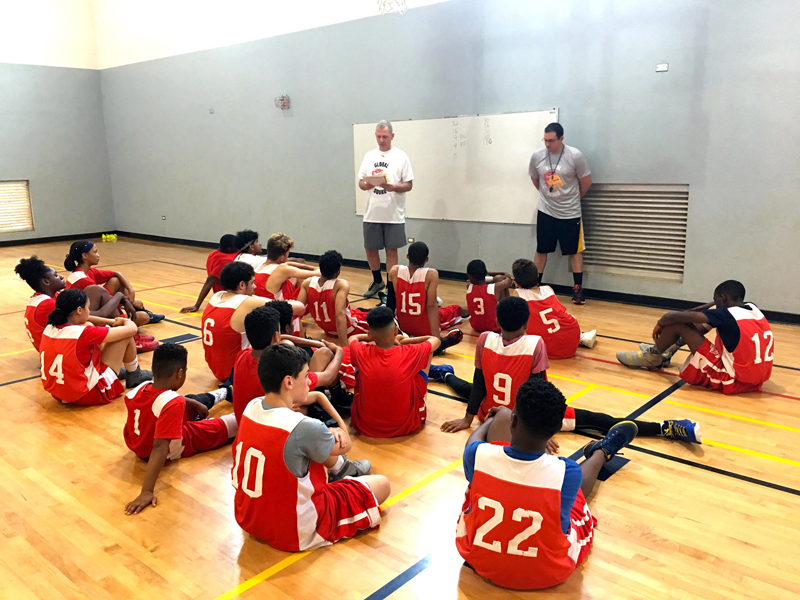 This year’s camp was made possible by the generous support of Allied World Assurance and highlighted Team Hurricane Basketball Academy’s ability to provide a platform in which student-athletes can train, develop and reach their academic and athletic potential. 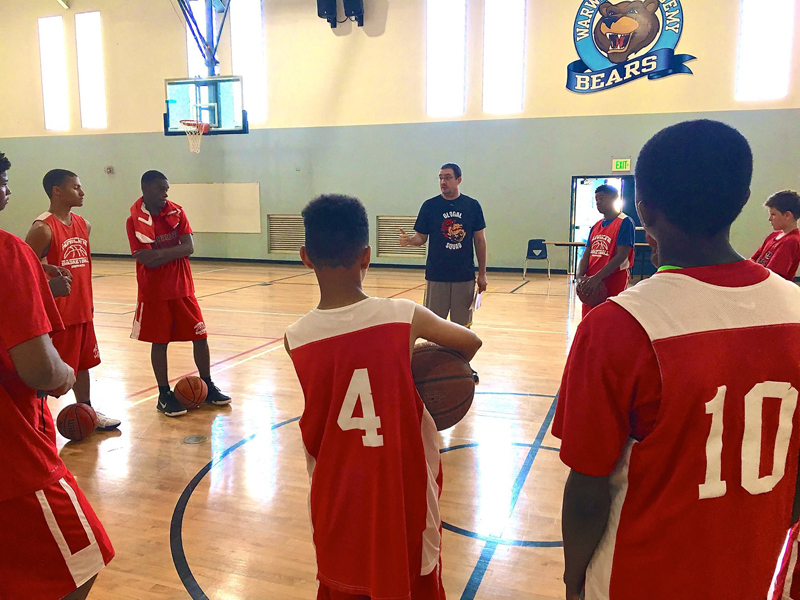 Team Hurricane Basketball Academy is a free youth basketball program for players aged 5 – 21. To enroll your child, please contact Coach Doug Reed at 504 1962, or visit their webpage.